We asked the filmmakers of <em>Bridging the Divide: Tom Bradley and the Politics of Race</em>: Why now? As Los Angeles marks the 50th anniversary of the Watts Riots this week, filmmakers Lyn Goldfarb and Alison Sotomayor are releasing a Bridging the Divide: Tom Bradley and the Politics of Race, a documentary that tells the “forgotten story” of how the one-time mayor helped the city survive the crisis. Bradley, L.A.’s only African American mayor, led City Hall for a record-setting 20-year tenure. He retired in 1993, the year after the L.A. Riots broke out. We asked Goldfarb and Sotomayor about Bradley’s legacy, the seven years it took to complete the film, and what looking back can teach us about the future of Los Angeles. The documentary’s release is timed to the 50-year anniversary of the Watts Riots. Do you see it as an important reminder of what could go wrong in a city at any moment, or is this your take on how far L.A. has come? Goldfarb: It’s a refresher of what happens when problems are unresolved. The Watts riots was a culmination of years of neglect, police brutality, and a lack of the anti-poverty funds that went to every major city in the United States except Los Angeles. People were tired of the racial discrimination that was happening in housing. We have to understand the Watts Riots as something that was the result of conditions that needed to be changed. Tell me about making the film. Did it change the way you perceive the city? Did you begin to see L.A. history in places you hadn’t before taking on the project? Goldfarb: As we began to see the history, it helped us understand it in a different way. It made us more committed. Both Alison and I grew up in L.A., but I didn’t learn about the city’s diversity or the obstacles that minorities felt—and it’s really important to understand. We are given the impression that L.A. is a city without a history. A city of Hollywood. A city of beaches and blondes and not being very serious. But we had a very serious and compelling history that both transformed the city and the nation. Sotomayor: The film is more than a biography of a mayor. We follow the issue of restrictive covenants and the African American and Chicano civil rights movements. The film tells a bigger story of Los Angeles and America through the story of Tom Bradley. Sotomayor: Trying to gain the funds to tell the story we wanted to tell. When we started this project in 2008, the challenge was convincing potential funders that this was not just a local story about a black mayor, but that this was a national story that has national impact. Another big challenge was condensing seven years of research—literally hundreds of interviews—into one 56-minute story. Goldfarb: We don’t preserve our history. It’s so hard to find the visuals that can tell a historical story, and we often have to rely on news footage. Some of it is really great but some of it is sensational. News stations are not going in deep. They’re not getting at the essence of what people thought. 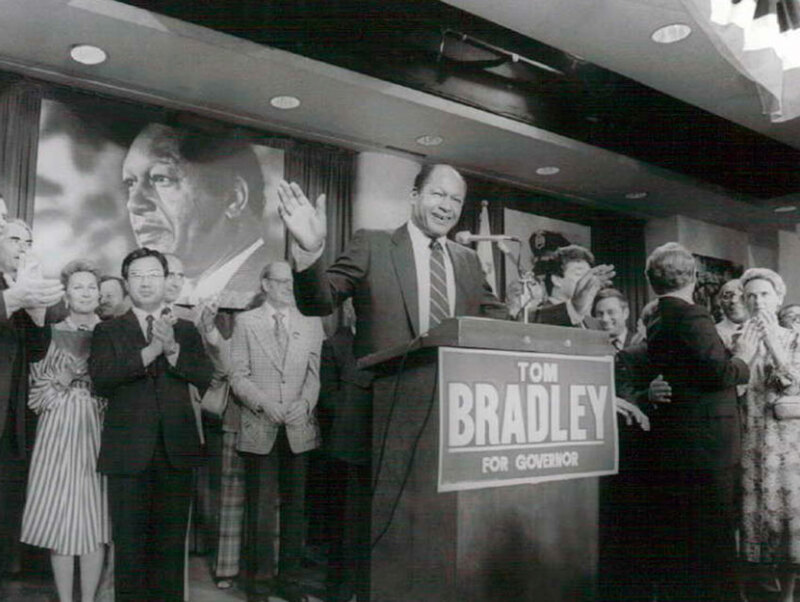 Sotomayor: You would think that for Tom Bradley, who served 51 years of public service, we would find a tremendous amount of local footage throughout his professional career. But that was a sticking point. We couldn’t even find just a few seconds of African American police officers in the LAPD in the ’40s and ’50s. Police brutality and corruption still exist—it seems like each week there is a new incident somewhere in the U.S. What do you want people to take away from this film about race relations? Goldfarb: That change is possible. It’s not easy, but it is possible. When Bradley was elected in 1973 it was because he brought people together through a group coalition. He changed City Hall by changing who was at the table. It matters who your mayor is. Change is possible through legislation. Sotomayor: The film is especially important at this time in the nation when we’re at a tipping point with police reform and racial injustice. I hope people can walk away feeling inspired, but also I hope they walk away with a better understanding of identity and race. Bradley’s story can offer people hope and help them better prepare themselves in dealing with issues of race. Is there a modern day Tom Bradley? Goldfarb: Barack Obama. His election and the way he governs is built upon a foundation that Bradley created. Look at what happened in Ferguson in the end—after being torn apart by police brutality, African Americans have started running for city council. Representation is important. In Baltimore there weren’t riots because of who was in office, and it was political leadership that was able to suggest a different route. The film is overall a very flattering representation of Tom Bradley, but not everyone loved him. How do you judge what he accomplished in office? Goldfarb: Bradley accomplished a tremendous amount in office, but the expectation that he could change everything was unrealistic. He faced the same kind of constraints that Obama does. As an African American leader, he may have felt that he couldn’t save all African Americans. The real question is, Are other people able to carry on the work that he left unfinished? Sotomayor: One of the people interviewed in the film, David Cunningham—who was a city councilmember under Mayor Bradley—described eloquently that Bradley was not a bombastic, in-your-face leader. He deliberately put up this calm, non-threatening persona. That’s how he was really able to be accepted by all races. But that type of leadership also helped contribute to a downfall, too, because he wasn’t able to effectively control the LAPD. Bradley tolerated racism and mismanagement in the LAPD while Chief Daryl Gates was in charge. It was only when Rodney King was beaten in 1991 that Bradley finally turned called for Chief Gates to step down. Goldfarb: I hope the film will encourage people to look into their own histories. 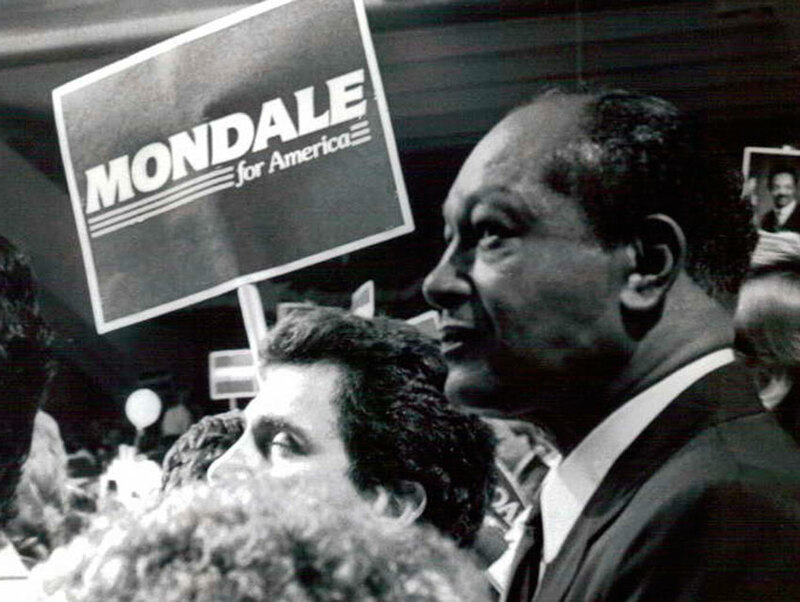 I hope they explore the stories of their families and their neighborhoods and that we can start building a new narrative of L.A.
Bridging the Divide: Tom Bradley and the Politics of Race premiers on PBS SoCaL on August 18. How Three Pioneering Immigrants Forever Changed the Course—and the Culture—of L.A.